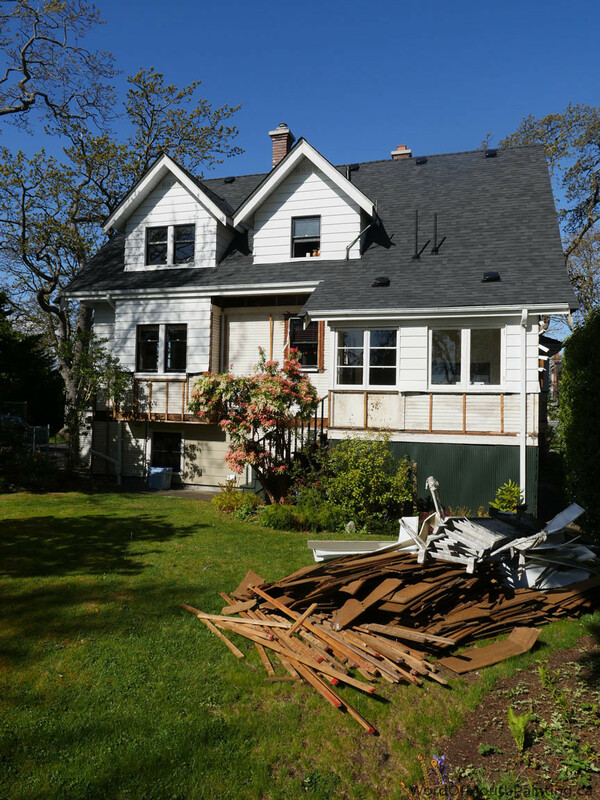 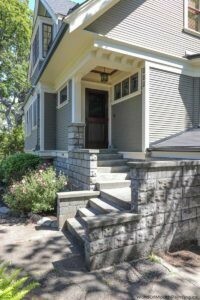 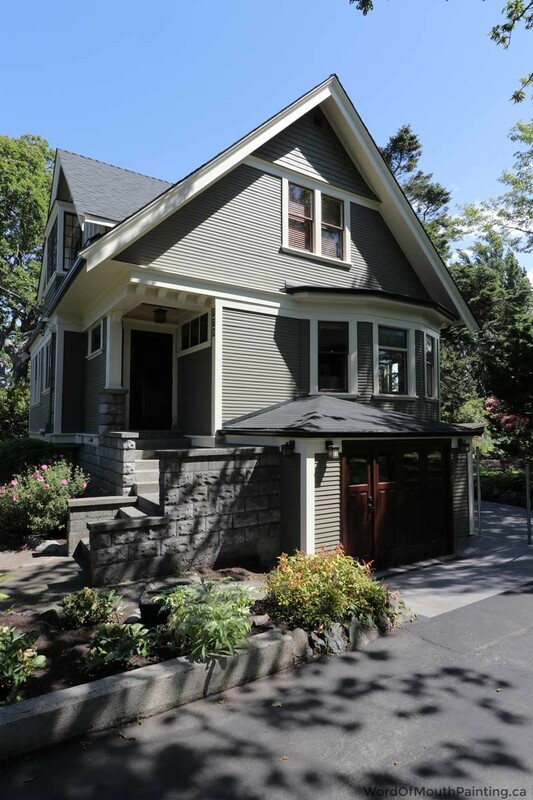 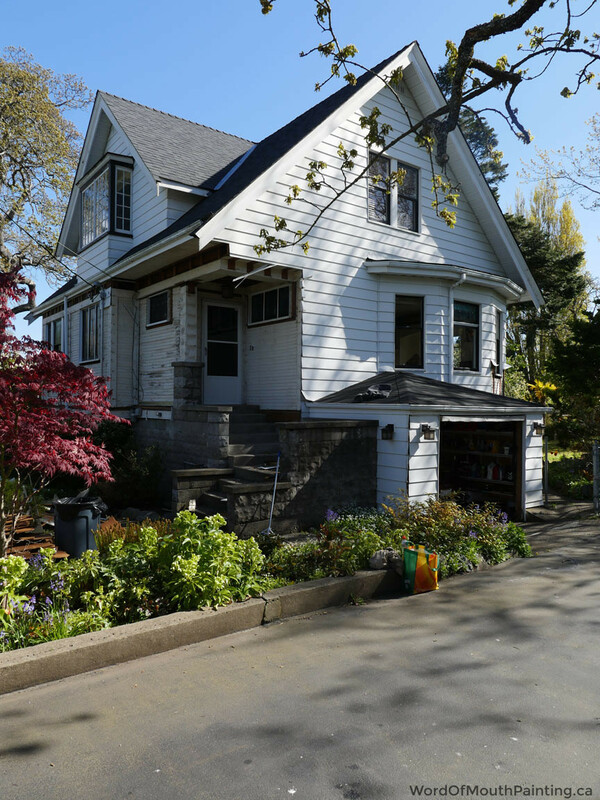 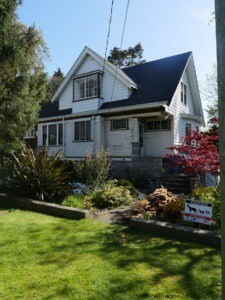 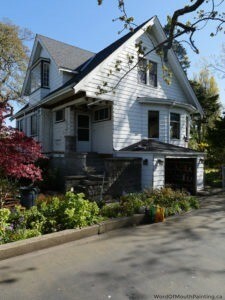 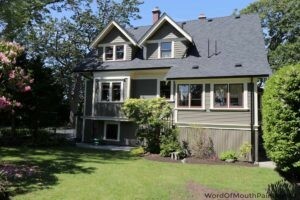 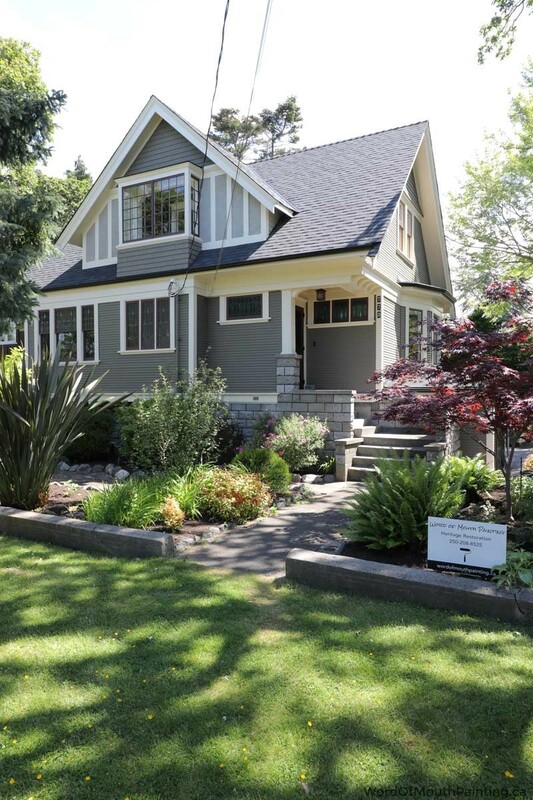 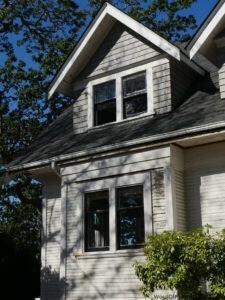 For this home in Oak Bay we created two custom historical colours with Benjamin Moore paints. 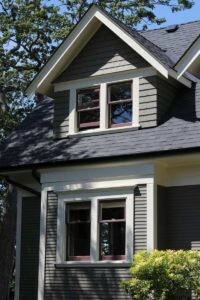 We created a damask olive green based in Benjamin Moore Aura Exterior Flat for the main colour of the house. 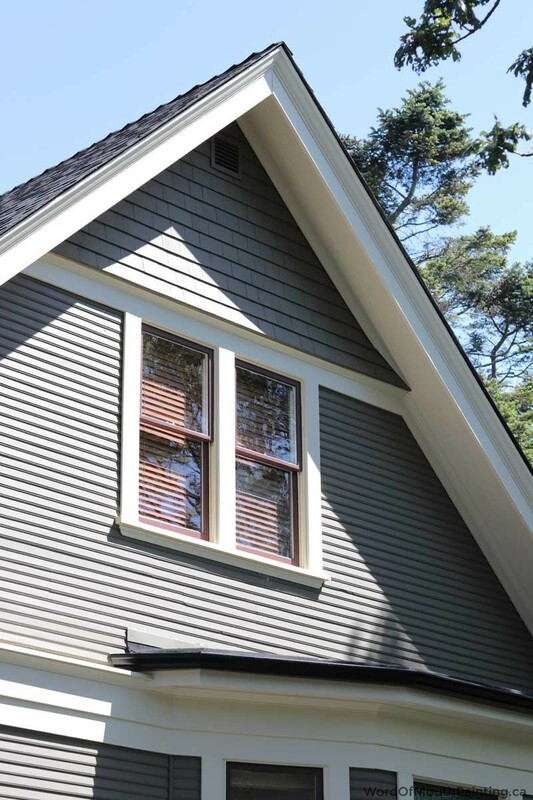 For the trim, we matched to a historical cream colour using Benjamin Moore Aura Soft Gloss. 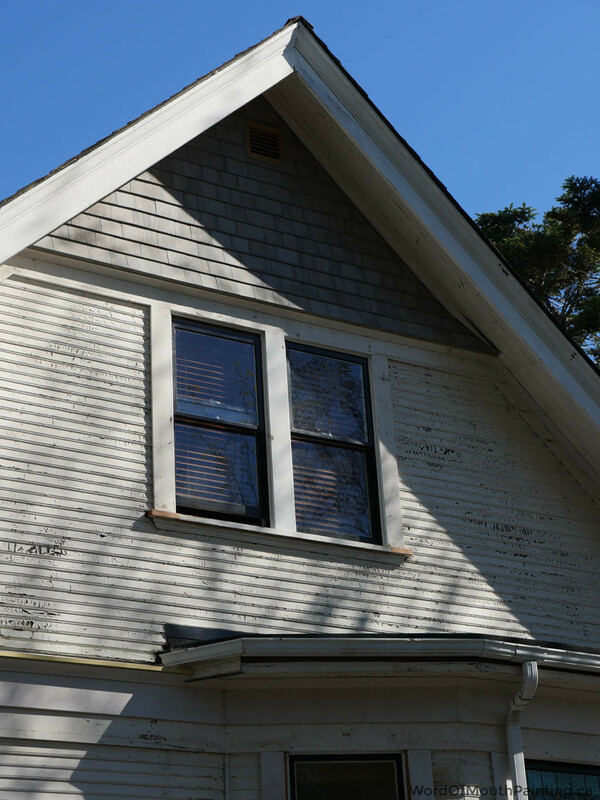 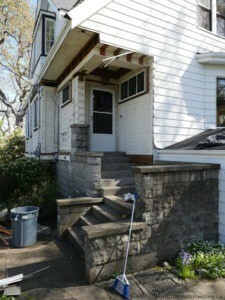 We painted the small sections of stucco on the front gable in Benjamin Moore Sandy Hook Gray (HC-108). 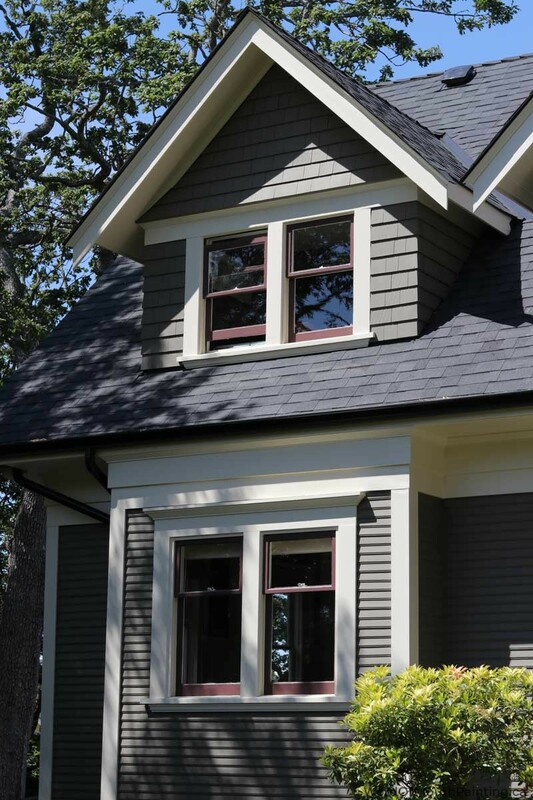 For a punch of colour to match the beautiful Japanese maple tree in the front yard, we used Townsend Harbour Brown (HC-64) from the Benjamin Moore historical collection on the window sash.